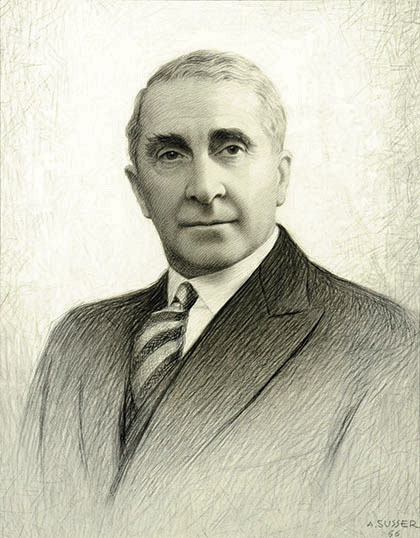 Albert E Sharp started in 1911 as a stockbroker for local families in the Midlands. The firm grew over the years until, in 1946, Kenneth H Sharp became senior Partner and established a corporate finance and research department specialising in the engineering and industrial sectors. The firm’s success propelled it to a position of pre-eminence outside London, which led to further expansion into related business areas including discretionary investment management. In 1975 the role of senior Partner was taken up by Albert’s grandson, Simon Sharp. Under his leadership, the business continued to flourish offering corporate finance, institutional brokering, unit trusts management and private client services. During 1995 the firm was acquired by Old Mutual and merged with Capel Cure Myers to form Capel Cure Sharp. By 2003 Barclays Bank had purchased the retail stockbroking businesses from Old Mutual. In 2009 Giles Sharp, Albert’s youngest grandson, persuaded Barclays Bank to re-assign the firm’s name and he subsequently re-established Albert E Sharp now as an LLP. The Partnership continues to represent the values of professionalism, service and integrity which have been traditionally associated with the Sharp family name.